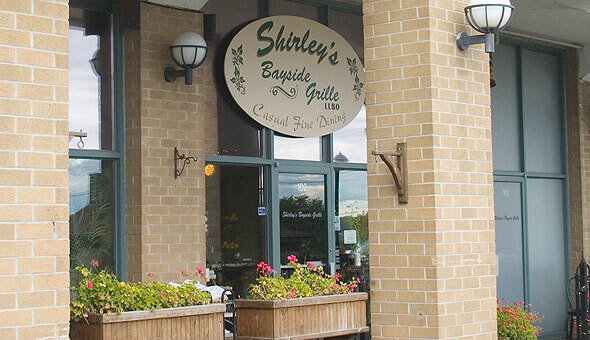 As the name reflects, Shirley's Bayside Grille is situated right beside Kempenfelt Bay, based in downtown Barrie. The waterfront bistro not only offers you a wide range of exotic food options but also lets you enjoy your dinner with live entertainment on Friday nights. In addition to their exclusive Canadian cuisine, the bistro also allows you to choose from a full-range wine selection, cocktails, and martinis. You also have plenty of vegan options to choose from. For their excellent food, great service, lovely atmosphere, and overwhelmingly positive feedback from diners, Shirley's Bayside Grille won a Certificate of Excellence award from TripAdvisor for 2016 as well as 2017. The chic indoor dining option is also great for intimate dinner with your loved one if you want to avoid the outdoor noise. Some of their most popular food options include grilled lobster, smoked salmon, veggie pizza, baked camembert, lamb, as well as their extensive martini menu and wine selection. In addition, you also have an option to choose from both comfort and high-end food. The place also makes a good option for small parties and business meetings, offering you ample space, elegant atmosphere, and helpful staff. The live entertainment from some of the well-known local artists every Friday also adds to the ambience. Founded almost 15 years ago, Shirley's Bayside Grille has quickly established itself as a popular place for a casual lunch or a romantic evening among locals. One of the reasons it makes a better option than several other restaurants in the same area is its location. You can enjoy your lunch or dinner on the patio to enjoy the open-air view of Kempenfelt Bay. With the bay view in front and the green Heritage Park on the side, the restaurant makes a good option for a relaxing evening with your loved ones. In addition, you can also enjoy your food in their indoor dining room. As it is busy bistro and also known for hosting large parties, it is better to reserve your seat beforehand. All in all, it makes a good place if you want to enjoy delicious food just right in front of Kempenfelt Bay in an outdoor dining arrangement.